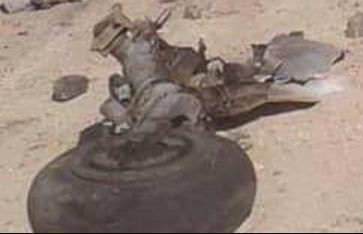 Pro-GNA Forces Shot Down MiG-21 Of Libyan National Army Near Tripoli (Photos, Video, Map) 5 out of 5 based on 3 ratings. 3 user reviews. On April 14, forces loyal to the Libyan Government of National Accord (GNA) claimed that they had shot down a MiG-21 warplane of the Libyan National Army (LNA) near the city of Tripoli. Pro-LNA sources claim that the MiG-21 crashed because of a technical issue. However, this is very unlikely. Two missiles can be seen on the released video. The downed MiG-21 jet is the first confirmed and the second claimed downed jet since the start of the LNA advance on Tripoli. On April 10, the LNA announced that it had downed a L-39 jet of the GNA Air Force. Following a statement from the Egyptian presidential office did not mention Haftar’s offensive directly but “confirmed Egypt’s support for efforts to combat terrorism and extremist groups and militias in order to achieve security and stability for the Libyan citizen”. My 2011 ford fiesta still handles better than an f35. My airbags work too. Stealth only works on the taliban. Its sunday take the day off will ya. 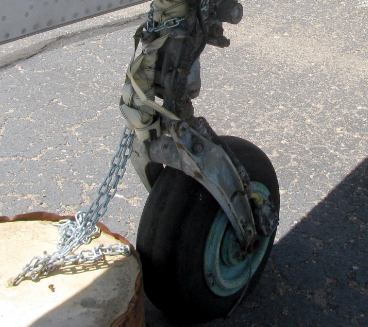 The wreckage doesn’t really give many clues to the aircraft identity, but the nose wheel looks something like a MiG-21 horseshoe fork and strut. As far as the video though… sorry, but I just don’t see it. Their is some joyous snackbar’ing at the :18 mark, but can’t tell if it’s spontaneous or they’re reacting to something I can’t see. The smoke trails would fit those of the Strela-2’s 2-second sustainer motor, but I don’t know how they could have even fired them off without an IR lock (required). The field-of-view of the Strela IR seeker is about two degrees, so there’s no way it’s going to see an aircraft 20° off the direction it’s pointing. The left-tracking missile might be heading for the sun. The missile tracking to the right seems far to low to be anywhere near tracking the aircraft. Self-destruct would be something like 15 seconds after launch (about the :25 mark) – maybe they got excited about that. In any case, I have no idea if these were even Strela-2s. The LNA is known to possess ‘some’. This doesn’t mean a LNA MiG-21 wasn’t taken down by a Strela, but this isn’t video of that happening. ‘Engine problems’? That’s the usual excuse offered. The LNA/AF MiGs are old, but they have help from Egyptian mechanics for maintenance. The GNA’s Libyan Dawn Air Force is the one in shambles. They had to hire Ukrainian contractors for maintenance and mercs for pilots. More about the two Libyan air forces at this 2016 WarIsBoring [link. Can’t believe how these guys waste ammo. Where do they get it? Seems every Muslim has unlimited ammo.